Trading currencies by the retail public is a relatively new development in the world of trading. What was once the domain of large financial institutions, banks and large corporations, has become available to anyone with an Internet connection and a nominal amount of money to trade with. With the addition of many new participants in the market, and the advances in electronic trading, the foreign exchange market has become more efficient. And with the considerable number of new traders entering the market, you must be more prepared than ever to make money trading forex. While the title of this article implies a how-to guide to making money in the forex market, successful trading is a much more profound topic. How money is made in the currency market by traders on a consistent basis, depends largely on the traders themselves. The following sections of this article will answer several questions people often have about how to make a living trading the foreign exchange market. The first and easiest option is to find a professional or managed fund to trade for your account. This option is for people with sizable bank accounts that don’t want to have to watch the market themselves. They may have researched a professional trader, CTA, or hedge fund that they consider would do an excellent job managing their account. One must be aware that due to the mostly unregulated nature of the over the counter currency market, the possibility of dishonesty exists. Therefore, if you trust another trader or company to manage your funds, make sure that you have done your due diligence and vetted the trader completely before giving them your hard-earned money. While the second option may seem viable for most people, having a sound knowledge of the forex market and being disciplined is imperative to achieving any kind of success in the retail forex market. To make money trading online, the prospective retail forex trader should really start out by formulating and testing a plan of action commonly called a trading plan. The trading plan should be easy to follow and include position sizing and money management elements. The plan is specifically designed to avoid having emotions get in the way of your trading. 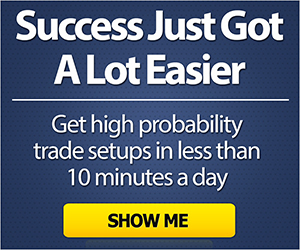 Most successful forex traders use a trading plan and many will credit their success to adhering to it. One of the best ways to prepare in the forex market is to test and back test your trading plan in an online forex demo account. The demo account allows you to implement your trading plan without committing any real funds. Demo accounts can be opened at most online brokerages with relative ease. Much like committing funds to a company or professional trader, due diligence should be exercised in the selection of an online forex broker. Ideally, the broker should be regulated by a reputable agency in the United States, the United Kingdom, Australia or the European Union. You may want to avoid unregulated brokers based in places like the Cayman Islands or other offshore areas. The amount of money that can be made in the forex market depends on the amount invested and the risk taken. 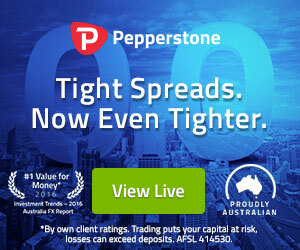 The spot forex market is one of the few places where a nominal investment can be turned into a sizable account with proper management techniques. Nevertheless, due to the volatility in the market, holding a position could present a problem if stop loss orders are placed too close. The market tends to locate stop orders and reverse after taking out the stops. This happens often, and could take you out of your position for a loss despite being right on the direction of the market. In order to start making money in forex trading as a retail trader, you will first need to set up a trading account with an online forex broker and fund it. Remember to only fund your trading account with risk capital that you can afford to lose. You can then work on educating yourself about the forex market and developing a trading plan that you will need to be able to stick to in a disciplined manner. How to Make Money Trading Currency? Although trading currencies to make money is not exactly easy, several strategy categories have become popular among forex traders and are probably worth exploring to see which best into your lifestyle and personality type. Some of the more popular ways traders look to make profit in forex include the following strategies that are ordered according to the length of time that positions are typically kept by traders employing those strategies. Day Trading – Day trading refers to the process in which all positions are traded and closed out within the same trading day. Since the forex market trades 24 hours from Sunday evening until Friday evening New York time, the trading day for a specific trader will probably just include the normal business hours in the time zone in which the day trader is located. The idea behind using this forex trading strategy is that the trader’s positions are not exposed to overnight price action fluctuations or the risk of trading on wider dealing spreads in the overnight market. Another benefit is that the day trader is always awake, alert and available to execute transactions while their positions are open. Day trading positions are generally all closed out before the chosen market’s closing time for each particular trading day. Day trading is quite common among professionals working as bank traders, but online trading has made day trading much more accessible to just about anyone who wishes to trade forex from home. A specialized type of day trading is known as scalping where the trader’s objective is to capture small profits within a few minutes of initiating a trade. Professional market maker attempt to do something similar when trading out of a position given to them by a client in order to capture as much of the bid offer spread as possible. Momentum Trading – When using a momentum or impulse trading strategy, a trader identifies suitable position entry points by using price action analysis or a combination of technical indicators. As the chart shown in Figure 1 below shows, the first indicator might be an exponential moving average that measures the inertia of the market and helps identify up and down trends as it respectively rises and falls. The strategy can then use another indicator that measures the market’s momentum, such as the Moving Average Convergence Divergence or MACD histogram. This sort of trading strategy might be described as “going with the flow” once the direction of market momentum has been identified. The oscillating indicator’s slope reflects the shifting preponderance of buyers compared with sellers in the forex market. When the slope of the MACD rises, buyers increasingly predominate, but when it falls, then sellers tend to predominate. A trade entry signal is generated by this momentum system when both the moving average and MACD indicators are moving together in the same direction, while an exit signal is generated whenever they diverge and move in opposite directions. The time frame of MACD and moving average indicators is generally set at a level that is consistent with the trading horizon a trader wishes to operate in. Figure 1 – Daily Chart of EURGBP with an exponential moving average superimposed over the exchange rate in red and the MACD displayed in the indicator box. Swing Trading – Swing trading involves the often-elusive attempt by forex traders to “buy low and sell high”. Swing traders will use technical analysis and various indicators with overbought or oversold levels that are often used to determine what exchange rates are priced high and which are priced low. Such technical studies can also be used to determine the optimum stop loss or take profit order levels that can also be strategically situated around key support and resistance areas identified by the trader on the exchange rate chart. Swing traders generally keep their positions open for more than a single day, but for less time than would be typical with most of the trend following trading strategies that will be discussed in the next section. Many traders prefer swing trading because they can profit from both trend following moves and subsequent counter-trend corrections. Trend Trading – Trend trading has to be one of the most popular of the long term forex trading strategies and would best be described by the financial market maxim: “the trend is your friend.” A trend trader will often use technical analysis techniques. They might draw trend lines based on observed sequences of highs and lows. This helps them identify the underlying trend and observe the existence of chart patterns, as well as identify channel breakouts when they occur. They might also overlay price charts with short and long term moving averages in order to find crossovers that signal the short-term trend in the exchange rate is changing relative to the longer-term trend. In such systems, when the short moving average crosses above the longer moving average, then that generates a buy signal, while when it crosses below the longer term moving average, it generates a sell signal. The forex market often display notable trends due to underlying changes in the business cycle and benchmark interest rates that reflect the monetary policy set by central banks. If a trader identifies such a trend, they generally plan on taking a position on a correction or counter trend move within the overall trend. They then can plan on riding the market in the direction of the trend for as long as they can until they are stopped out via their trailing stop. Trailing stop loss orders are an effective trade management tool for trend traders, as it acts to move or ratchet up in the direction of the trend accumulated profits, so that it can be protected from sudden pullbacks in the market. Not all of these strategies will feel right for every trader depending on their personality, so you might want to try several of them out to see which one is the best fit for you. The amount of money that forex traders can make depends on many factors – whether they are employed by a financial institution, a fund management firm, or if they are a self-employed retail forex trader with extensive experience, or a novice trader just starting out. Generally, professional forex traders who are working for a bank or other financial institution generally earn a salary plus a performance related bonus from their employers. Their trading activities tend to revolve around market making, scalping and day trading, although some do take longer term strategic positions. Due to the benefit they experience by acting as market makers to clients who deal on their spreads, most bank traders are quite profitable, or they rather quickly find themselves out of a job. Professional fund managers who trade foreign exchange with funds under management will also typically receive a salary from their firms. Nevertheless, unlike bank traders, they might have a bonus calculation to determine their total earnings that is more explicitly expressed as a certain percentage of profits actually earned in the funds they are managing, such as 20 percent of profits for example. Although some fund managers do take short term positions, most of them tend to take longer term positions based on a proprietary trading strategy or system. They have the support of their firm and can allocate money into developing winning strategies and automating their trading plans. Also, the large size of their trading positions can often move the market in their favor, at least initially. In contrast to the professional traders mentioned, most retail forex traders are usually self-employed when it comes to their trading activities, and so they only make money if their trading efforts are actually profitable. Some especially good retail traders with a strong track record can also earn money from the associated profitability of their trading followers if they allow others to follow them using a social trading platform. Most retail forex traders typically only trade in small sizes, so they cannot move the market like fund managers. Also, they are forced to pay away the bid offer spread each time they deal, so they do not share the ability of market makers to profit from quoting prices to clients. Perhaps as a result, estimates of the profitability of retail forex traders is actually very low, with some sources reporting that as many as 90 percent of private operators fail to earn money in forex trading. How Stressful is Trading Forex for a Living? Professional forex traders and market makers can be very busy quoting prices for customers and managing the risk associated with trading on those prices. It can certainly be a fast paced and stressful environment. Professional traders also usually have a number to meet in terms of their overall annual profitability, so if they fall short of that amount, they may risk losing their jobs or getting a reduced performance related bonus. The same sort of position-taking stress level can affect fund managers who often take considerably greater risks over longer periods of time. Nevertheless, they usually are not as active when it comes to trading, so they can relax and watch the market between deals. For retail forex traders, their hurdle and main stress factor involves how well they can cope with losing money on trades. Their stress level may also vary depending on how often they put themselves in risky situations or the number of open positions that they actively manage. Most traders will deal with stress differently as they trade, but there are certain psychological profiles that many traders fall within. Some people with a more impulsive personality type may be psychologically less suitable for a risk-taking profession like trading and may find it more difficult to deal with uncertainty inherent in the market.